Should you decide to become a professional welder, you will need to get your welding certification. The issue with getting welding certification is unless you understand the process and details that are entailed; you may end up with a certificate that you are unable to use. The question of how to get your welding certification needs to be answered accurately and precisely, to ensure that the right procedures are followed from the get go. Welders who hold certification are more likely to enjoy consistent work. Want to get information from the top welding schools? Simply fill out the form below! There are some important points to note about welding certification. First, it is not transferable, meaning if the welder changes their workplace, they will need to secure a new certificate. This is the general rule, although there are exceptions as the welders certificate is usually issued under the workplace of the welder. A freelance welder can take a welding test at any accredited AWS (American Welding Society) test facility. However, the certificate needs to be renewed every six months. For the renewal, the freelance welder is required to provide an auditable record for each six month period that they have worked. This certification may also limit just how much the welder can do, as there are strict criteria and parameters of work that are stated on the certificate. For a person seeking welding certification for the first time, they need to sit for a welding qualification test as part of their pre-employment screening. This test is designed to ensure the welder can meet the company’s standards, as well as to check on the general knowledge that the welder has regarding their equipment and welding processes. There are several specifications that are indicated on welding certifications. These include parameters for metal thickness, types of metals, that can be welded and the welding processes that are to be followed. Any certified welder is only licensed to weld under the procedures that are stated on the certificate. Therefore, if a certificate says that welder can work with stainless steel alone, they are unable to weld any other metal. There is currently no certificate that covers every type of welding. 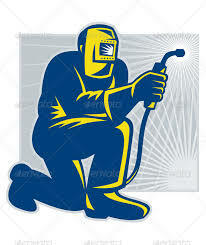 There is some basic information that will appear on the certificate to ascertain what the welder is allowed to do. When looking for certification, the welder will need to specify whether they intend to be welding with a pipe or a plate. Structured welding is a term used for welding with a plate, and pipe welding refers to welding with a rope. Then, the welder will need to specify which position the welding plate will come in. You can choose between Fillet and Grove welds. There is a coding system used to identify the welding position which appears on the certificates. In order to know all the specifications correctly, you may need to enroll in some basic training. This can be done formally at a specialized institution, or informally through apprenticing. Either way, you will get valuable experience which will come in handy when you attempt the welding qualification tests. Tests are generally quite practical. When seeking certification, you will typically be tested on the equipment and materials that you are seeking certification for. Evaluation points will look at your workmanship, assembly, position and so on. On occasion, a written test is also given to ensure that you fully understand safety procedures, as well as the theoretical information about your welding equipment. Depending on where you choose to get tested, you will have to pay a fee to take the rest, process the paperwork, and should you pass, prepare the certificate. Changes often start at ten dollars and increase from there. Shielded Metal Arc Welding – This is for stick welding. Gas Metal Arc Welding – This is for MIG welding. Gas Tungsten Arc Welding – This is for TIG welding. Flux Core Arc Welding or Wine Wheel welding. Although there are many other more specialized certification, these are the most common because they are generalized making it easier to get a job. When starting out, you can also get a combo certificate to increase your opportunities. Welding, soldering, and brazing. Do you know the difference?